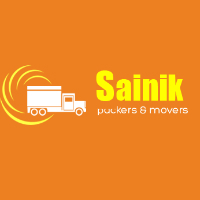 Home > Small Business – Malls – Stores > Small Business > Movers and Packers > Sainik Packers and Movers > Worst Service and nightmare .. please avoid them.. Worst Service and nightmare .. please avoid them.. Worst experience they took more then a month to deliver item from bangalore to patna . even after one month all my bed, mattress, kitchen items where totally damaged. After delivering they are not responding even I have insured my items as per there request.They are so unprofessional they dont even respond to emails of calls also. I had a nightmare with them .where I was delivered damaged items.Think twice before trying them.There owner keep telling I am from Army background. but they cheat you in service and money. I lost many items. and now they are not paying money even though they took insurance money from me.Try on your own risk or pay little extra but try some good company. I still regrets.